Why a Hosted PBX System? Get Hosted PBX With MondoTalk and find a system full of features for less. With a cutting edge Hosted PBX phone system with MondoTalk you can save 50% on your phone bills. You can also take advantage of the many features available on a Hosted PBX phone system like call queuing, on-hold messages, conference calling and more. Whether you are moving office, setting up an office or simply looking for an economical change, A personalised, quality Hosted PBX phone system can be created specifically for your business. Not all service providers are created equal. MondoTalk is a reputable, international service provider of SIP Trunks and other Internet Telephony systems. Want to avoid phone system headaches? Look at what the MondoTalk Advantage can do for you. Have you ever wanted to appear bigger to your customers or colleagues? You now can give people the impression that you are bigger and firmly established through a Hosted PBX phone system. An automated greeting can help your customers find the right person for sales, support or invoicing. With your Hosted PBX phone system you can also promote your business’s products and services whilst your callers are on hold, helping you to focus on products you want to sell. Are you a sole trader or a small business? A Hosted PBX phone system’s features, like the automated receptionist, can make your business seem larger than you are. Your automated receptionist can offer options such as sales or support. Even if it’s only you who is available, your customers will still be presented with options as soon as they dial your main number. Now, with your Hosted PBX system, you can improve your customer’s perception of your business. Do you operate in a number of areas? Now a Hosted PBX phone system can keep your business in one easily accessible number for all your customers to find you. If you have partners in other parts of Australia or internationally, you can now have one number which can link the caller with all of your available staff. Your Hosted PBX phone system can link all of your staff in different locations with personalised 1800 or 1300 or even just a local number. Do you have an office which is busy and another which is quieter? If you have missed callers because one office was always busy, a Hosted PBX phone system can give you the option of capturing them in another, quieter office. Now, your customers are happy and important calls don’t get missed – all because of your Hosted PBX phone system. Do you find that you are always on the road? You can now keep it all together with a Hosted PBX phone system by MondoTalk. Your calls can now follow you around the city, interstate and even internationally with the Hosted PBX’s Follow Me Feature. Your clients can call you whilst your on the road by dialing your extension when prompted – all from your main number. NO CONTRACTS, LESS COST - NO WORRIES! 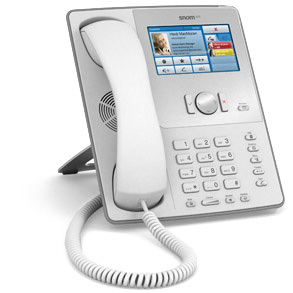 MondoTalk’s Hosted PBX phone systems offer no lock-in contracts. MondoTalk prides itself on being able to provide you with customer solutions like its Hosted PBX phone systems. This way, we will be there with you as you grow and evolve. Your Hosted PBX phone system can grow as your business does without the hassle of organising a new contract. Our packages are not expensive, either. MondoTalk brings big-business solutions to small businesses in a cost effective way. Now, with new technology, you can operate a system like a Hosted PBX system which is cost-effective and full of features. You can now have a Hosted PBX system for as low as $22 per month. The best part is our clients save, on average, 50% on their phone bills. Is your phone system reliant on your business’s power? If so, if the power goes out so do your phones! MondoTalk’s Hosted PBX systems run despite power outages. If you have a Hosted PBX phone system that forwards to your mobile, then a power outage will not stop it from working. It's Easy, Click Here to Request a Call for Help with Your Business!